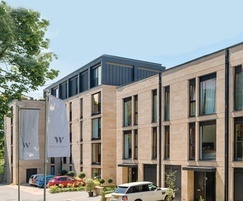 Woodcroft is a premium residential housing development in Morningside, Edinburgh comprising of 24 townhouses and 57 apartments. 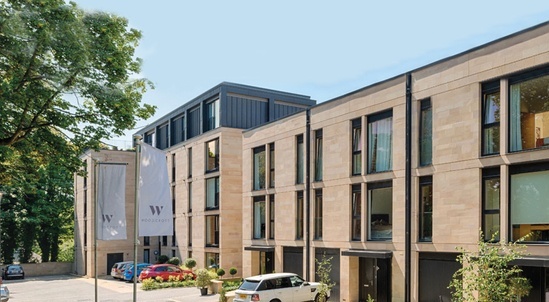 The development combines the best in contemporary architecture with a leafy suburban setting. 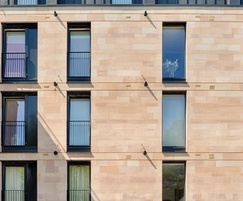 The materials used in the project had to be high quality. 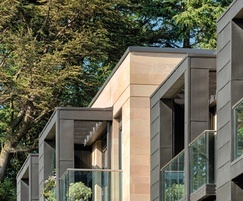 Marshalls’ Stanton Moor natural stone was the material of choice to complement the zinc cladding, timber and glass used on the project. 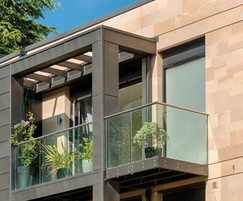 Stanton Moor is a buff, carboniferous sandstone with technical properties ideal for rainscreen cladding, ashlar and masonry products.